Funeral services for Mrs. Emma Hodge Hamlet will be 1:00 PM Wednesday, June 20, 2018, at Ligon & Bobo Funeral Home with Randy Ward officiating. Interment Wilson County Memorial Gardens. Visitation Tuesday 4–8 PM and Wednesday after 11 AM at Ligon & Bobo. Mrs. Hamlet, age 89 of Lebanon passed away Sunday, June 17, 2018, at Tennova Healthcare.Born April 24, 1929, in Wilson County, she is the daughter of the late Willie and Hassie Elizabeth Martin Hodge. She worked as a nurse for the State of Tennessee at Cloverbottom for thirty three years, and was a member of Vine Church of Christ. In addition to her parents, she was preceded in death by her husband, Alexander Hamlet; sisters, Annie Laura Duke, Peggy Willis and Elizabeth Cherry; brothers, Douglas, Charles, Kenneth, James, Robert and Franklin Hodge. 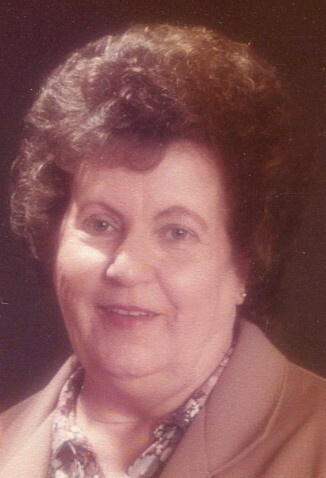 She is survived by two daughters, Agnes Elizabeth (Stan) Kaiser and Tammy (James) Davis; four grandchildren, Alan (Lori) Kaiser, Kim Whittle, Justin (Christmas) Davis, and Amber Davis; great grandchildren: Cory McClain, Bobby Whittle, Alex Kaiser, Aaron Whittle, Evan (Anna) Kaiser, Evie Davis, MiKinzley Lowe, Teagan Kaiser, and Raelynn Lowe; sister, Nancy Davis; sisters in law, Mary Edna Hodge and Barbara Edwards; numerous nieces and nephews.